Professions derive considerable benefit from having a set of principles, standards, and guidelines that constitute their code of ethics. A code of ethics serves important purposes for professionals and the public they serve. For practitioners, an ethics code provides a moral compass to guide their conduct and help shape their decisions in uncertain situations. It lends prestige to their profession, fosters pride in their allegiance to values and skills shared with their colleagues, and enhances their sense of professional identity. For the public, the existence of an ethics code fosters their trust in a profession, informs them about what they can expect from practitioners in the profession, and safeguards their welfare by deterring unethical professional conduct. In this last regard, unethical conduct, whether intended or not, can result in serious consequences for professional practitioners. Even without violating criminal law, which could lead to being fined or jailed by court order, misbehavior that comes to the attention of an ethics committee or state board of psychology can provoke letters of reprimand, dismissal from membership in professional societies, and suspension or revocation of a license to practice. 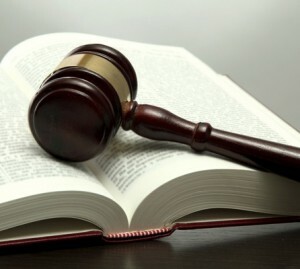 Having been penalized in these ways can prevent practitioners from securing liability insurance, being listed in directories and on insurance reimbursement panels, and, most critically for forensic psychologists, having credibility as an expert witness whose integrity will not be impugned in the courtroom. Along with being potential sources of penalties when violated, ethics codes and the committees and boards that enforce them can provide support when practicing psychologists confront problematic expectations or unreasonable demands. In an illustrative case, a patient whose therapist assigned her some reading complained to an ethics committee that he was abandoning her and failing to provide adequate care. Acting on the psychologist s behalf, the committee that heard the patient s complaint informed her that bibliotherapy was a legitimate and acceptable way for her therapist to augment her sessions in an effort to be helpful, and the complaint was not pursued further. Unreasonable or intrusive demands may on occasion come from supervisors, employers, or organizations. As an example in a correctional setting, a prison psychologist was instructed to serve on disciplinary committees that were hearing his patients cases and deciding their punishments. By referring to his ethical obligation to avoid problematic multiple relationships and conflicts of interest, as elaborated in this section, the psychologist was able to clarify the impropriety of his serving on these committees and was excused from doing so. A recurring and sometimes problematic demand in forensic practice involves psychological testing protocols that are subpoenaed and deemed discoverable by the court. In these instances, psychologists can refer to their ethical obligation to “make reasonable efforts to maintain the security of test materials” (American Psychological Association [APA], 2002, Standard 9.1) as well as to copyright laws safeguarding published tests, to appeal to the court that the released information should have restricted circulation and consist of test data but not test forms. To practice principled forensic psychology, psychologists must recognize both the constraining and the supportive features of ethics codes and related guidelines and conduct themselves in a professionally proper manner at all times. The main document providing psychologists direction for ethical conduct is the just mentioned “Ethical Principles of Psychologists and Code of Conduct” promulgated by the APA (2002, 2010a). This document, commonly referred to as the Ethics Code, pertains broadly to psychological practice, teaching, and research but also has numerous implications for forensic practice. The Ethics Code comprises five general principles and 10 specific standards. The general principles are considered “aspirational in nature” and are “intended to guide and inspire psychologists toward the very highest ethical ideals of the profession” (APA, 2002, p. 1062). The specific standards translate these aspirations into mandatory and enforceable rules of conduct that psychologists are obliged to follow. Two other documents providing guidance in practicing principled forensic psychology are the “Specialty Guidelines for Forensic Psychology” and the “Guidelines for Child Custody Evaluations in Family Law Proceedings,” both of which are modeled after the Ethics Code and are endorsed by the APA (2010b, 2013). Of particular relevance for psychologists involved in family law cases are two additional documents promulgated by the APA (2012a, 2012b, 2013): “Guidelines for the Practice of Parenting Coordination” and “Guidelines for Psychological Evaluation in Child Protection Matters.” Like the general principles in the Ethics Code, the forensic specialty, child custody, parenting coordination, and child protection guidelines are not mandatory rules of conduct and were not intended to constitute a basis for disciplinary action or legal liability. Instead, these guidelines are aspirational in nature and recommend various procedures for maintaining high-quality forensic services. Forensic practitioners should be as familiar with these recommended procedures as they are with the obligatory rules of conduct in the Ethics Code. This section reviews the five general principles and 10 specific standards in the APA Ethics Code, with attention to their implications for forensic practice and how they may be elaborated in the forensic specialty and child custody guidelines. The section then considers some aspects of personal values and professional responsibility that forensic psychologists need to keep in mind, and it concludes with a summary of recommendations for minimizing vulnerability to ethical complaints and legal actions in forensic practice. The section on general principles in the APA Ethics Code delineates five aspirational goals toward which psychologists should strive in their practice, teaching, and research. Read more about Ethics Code: General Principles. As previously stated, the APA Ethics Code comprises 10 specific standards intended to serve as enforceable rules of conduct that psychologists are obliged to follow. Unlike the general principles to which psychologists should aspire, these standards constitute requirements they are expected to meet in order to remain in compliance with the Ethics Code. The standards deal broadly with considerations in practice, teaching, and research, and they vary in their specific implications for practicing principled forensic psychology. However, forensic psychologists are psychologists first and forensic specialists second, and they are accordingly responsible for ensuring that all of their professional actions are consistent with the Ethics Code. Read more about Ethics Code: Specific Standards. Forensic psychologists must deal regularly with two related aspects of principled practice that warrant further elaboration. The first of these concerns the obligation of practitioners to prevent their personal values from affecting their professional conduct. The second aspect concerns the professional responsibility of forensic psychologists to resist expectations or demands of attorneys that, although falling within the law, run counter to psychology s ethical principles and standards. Read more about Values and Responsibility. A few final words summarize the essentials of practicing principled forensic psychology in ways that minimize practitioners vulnerability to ethical complaints and legal actions. Adhere to the Ethics Code in general, attend in particular to ethical principles and standards having specific implications for providing forensic services, and be familiar with the forensic specialty guidelines. Offer services that reflect proficiency achieved through knowledge, skills, education, training, and experience, and do not let this high level of competence erode over time. Be conversant with the terminology, concepts, practices, and standards com­mon in the legal community, and be acquainted with the regulations, statutes, and required or customary procedures pertaining to work in states in which the practitioner is licensed or permitted to practice. Prepare accurate and sufficiently detailed records, store them securely, and retain them for at least the length of time specified by state requirements. Be mindful of the forensic psychologist s appropriate roles in a case, which may differ from what attorneys and attorneys clients expect them to do, and be sensitive to conflicts of interest and other circumstances that could compromise principled practice. When confronting unfamiliar matters or an unexpected dilemma, consult with a respected colleague, and keep in mind that consulting relationships with attorneys can also provide helpful advice on the legal implications of certain forensic issues. American Psychological Association. (2007). Record keeping guidelines. American Psycholo­gist, 62, 993-1004. American Psychological Association. (2010b). Guidelines for child custody evaluations in family law proceedings. American Psychologist, 65, 863-867. American Psychological Association. (2012a). Guidelines for the practice of parenting coordination. American Psychologist, 67, 63-71. American Psychological Association. (2012b). Guidelines for psychological evaluation in child protection matters. American Psychologist, 68, 20-31. American Psychological Association. (2013). Specialty guidelines for forensic psychology. American Psychologist, 68, 7-19. Barnett, J. C., Lazarus, A. A., Vasquez, M. T., Moorhead-Slaughter, O., & Johnson, B. (2007). Boundary issues and multiple relationships. Professional Psychology, 38,401-410. Bersoff, D. N. (Ed.). (2008). Ethical conflicts in psychology (4th ed.). Washington, DC: American Psychological Association. Butcher, J. N. (2013). Computerized personality assessment. In J. R. Graham & J. A. Naglieri (Eds. ), Clinical psychology (pp. 165-191). Volume 10 in I. B. Weiner (Ed.-in-Chief), Handbook of psychology (2nd ed.). Hoboken, NJ: Wiley. Fisher, M. A. (2009). Replacing “Who is the client?” with a different ethical question. Professional Psychology, 40,1-7. Golding, S. L. (1990). Mental health professionals and the courts: The ethics of expertise. International Journal of Law and Psychiatry, 13, 281-307. Goodstein, L. D. (2012). The interstate delivery of psychological services: Opportunities and obstacles. Psychological Services, 9 (3), 231-239. Gorny, I., & Merten, T. (2007). Symptom information—warning—coaching: How do they affect successful feigning in neuropsychological assessment? 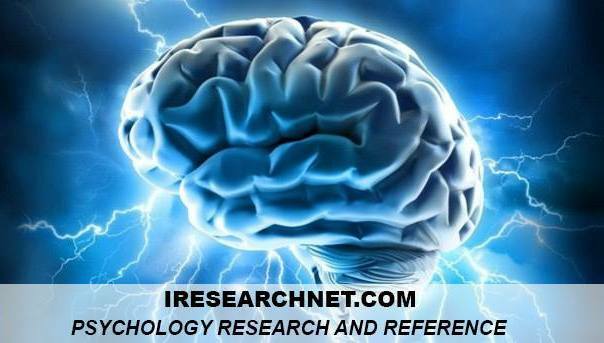 Journal of Forensic Neuropsychology, 41, 71 -97. Greenberg, S. A., & Shuman, D. W. (2007). When worlds collide: Therapeutic and forensic roles. Professional Psychology, 38,129-132. Hess, A. K. (1998). Accepting forensic case referrals: Ethical and professional considerations. Professional Psychology, 29, 109-114. Kitchener, K. S., & Anderson, S. K. (2011). Foundations of ethical practice, research, and teaching in psychology (3rd ed.). New York, NY: Routledge. Knapp, S. J., & VandeCreek, L. (2012). Practical ethics for psychologists: A positive approach (2nd ed.). Washington, DC: American Psychological Association. Koocher, G. P., & Keith-Spiegel, P. C. (2008). Ethics in psychology and the mental health professions: Standards and cases (3rd ed.). New York, NY: Oxford University Press. McMinn, M. R., Bearse, J., Heyne, L. K., Smithberger, A., & Erb, A. L. (2011). Technology and independent practice: Survey findings and implications. Professional Psychology: Research and Practice, 42, 176-184. Monahan, J. (Ed.). (1980). Who is the client? Washington, DC: American Psychological Association. Monahan, J., & Steadman, H. J. (1996). Violent storms and violent people: How meteorology can inform risk communication in mental health law. American Psychologist, 51, 931-938. Shuman, D. W., & Greenberg, S. (1998). The role of ethical norms in the admissibility of expert testimony. The Judges’ Journal: A Quarterly of the Judicial Division, 37, 4-43. Springman, R. E., & Vandenberg, B. R. (2009). The effects of test-strategy coaching on measures of competency to stand trial. Journal of Forensic Psychology Practice, 9, 179-196. Strasburger, L. H., Gutheil, T. G., & Brodsky, S. L. (1997). On wearing two hats: Role conflict in serving as both psychotherapist and expert witness. American Journal of Psychiatry, 154, 448-456. Suhr, J. A., & Gunstad, J. (2007). Coaching and malingering: A review. In G. J. Larrabee (Ed. ), Assessment of malingered neuropsychological deficits (pp. 287-311). New York, NY: Oxford University Press. Victor, T. L., & Abeles, N. (2004). Coaching clients to take psychological and neuropsychological tests: A clash of ethical obligations. Professional Psychology, 35,373-379. Weiner, I. B. (1989). On competence and ethicality in psychodiagnostic assessment. Journal of Personality Assessment, 53, 827-831. Weiner, I. B., & Bornstein, R. F. (2009). Principles of psychotherapy (3rd ed.). Hoboken, NJ: Wiley. Weiner, I. B., & Greene, R. L. (2008). Handbook of personality assessment. Hoboken, NJ: Wiley.